In January, political unrest in Venezuela shed renewed light on the country’s struggling economy and the effects on its people. For decades, Venezuela has struggled with hyperinflation making the cost of basic necessities, like food and toiletries, out of reach for many people. For this reason, people continue to flee the country as migrants and refugees. 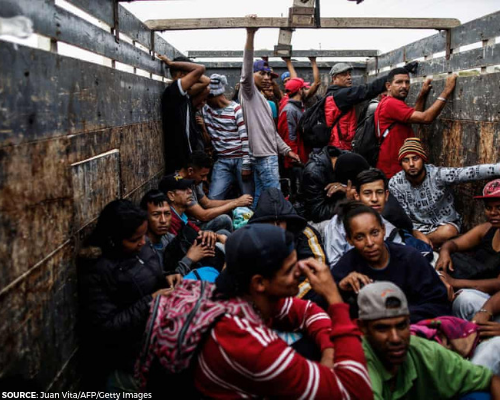 In February, the UNHCR, the U.N.’s office on refugees, announced that 3.4 million Venezuelans have left the country and registered as refugees. Many of these individuals are seeking better opportunities for themselves and their families in the surrounding countries. Several U.S.-based organizations are working with these refugees to help them successfully resettle by providing food, shelter, and transition services. Inside Venezuela, political tensions remain high while people continue to suffer from lack of access to food, medicine, fuel, and electricity. American aid agencies are working with local partners to deliver much-needed food and supplies to these individuals as best as they can. Please consider making a gift today to bring aid and relief to individuals affected by this ongoing humanitarian crisis. The highly-rated charities on this list have confirmed they are either working with Venezuelan migrants and refugees outside of the country, or with local partners to deliver supplies internally.